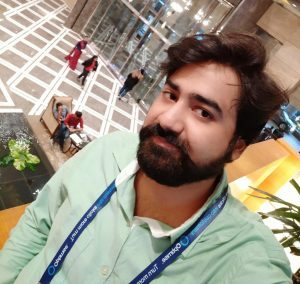 Hello friends, Today I will tell you two methods on how to format a flash drive on Mac. Users can even wipe all data from their Mac drives. Both these methods are working, and you can quickly flash drive on Mac. You can format a flash drove on MacBook air, pro or any other MacBook model. You can even flash drive to work both on Mac and PC. Most of the Mac users don’t know that how to format a flash drive on Mac. Because the settings and app access on Mac are a little bit of difficulty that’s why it becomes very tuff to format a flash drive on Mac. But, if you don’t know how to format a flash drive on Mac, then this section is going to help you in the best manner. 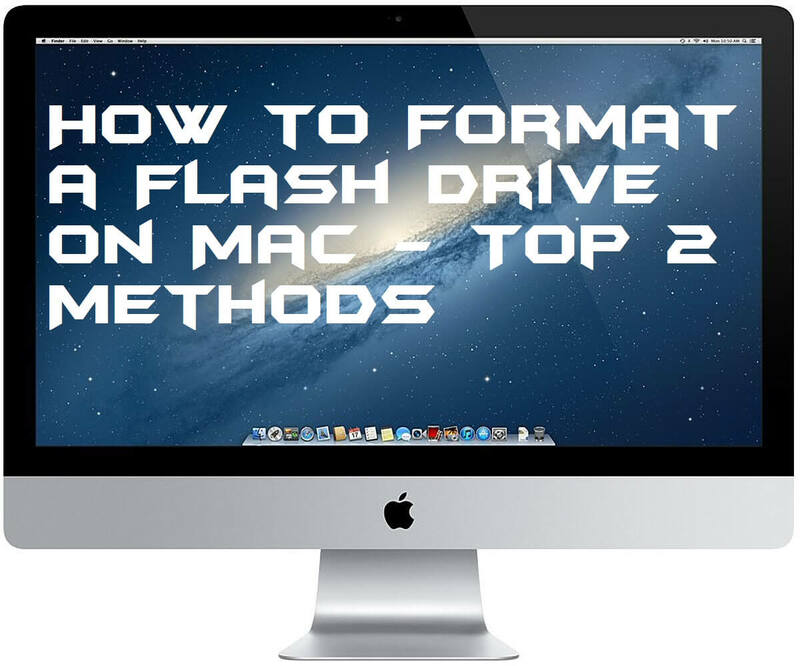 I have shared some methods that will tell you that how to format a flash drive on Mac. Every method is very simple and straightforward so that there is no difficulty to understand them. Let’s move on to the methods list and check the ways to format a flash drive on Mac one by one. Disk Utility is the inbuilt app which comes with the Macintosh-based computer/laptop. Disk Utility is responsible for managing internal disks and external storage devices. Using Disk Utility a Mac user can easily format a flash drive on Mac. This app is for organizing and manage the disks available on the Mac s that it can help us to know that how to format a flash drive on Mac. I have shared step by step guide below which will help you to format a flash drive on Mac quickly. Insert the flash drive on your Mac. Now, open the Applications folder and click on Utilities. Then, double-click on the Disk Utility. From the left pane click on your flash drive on Disk Utility. Now, click on Erase option. Confirm the action by clicking on Erase option again. EaseUS is a software which is used to format a flash drive on Mac and to recover the deleted data as well. It comes in tow variant that is free and paid. If we talk about to format a flash drive on Mac then free is good enough to do so. Though, we can take help of the free version of EaseUS software to format a flash drive on Mac. 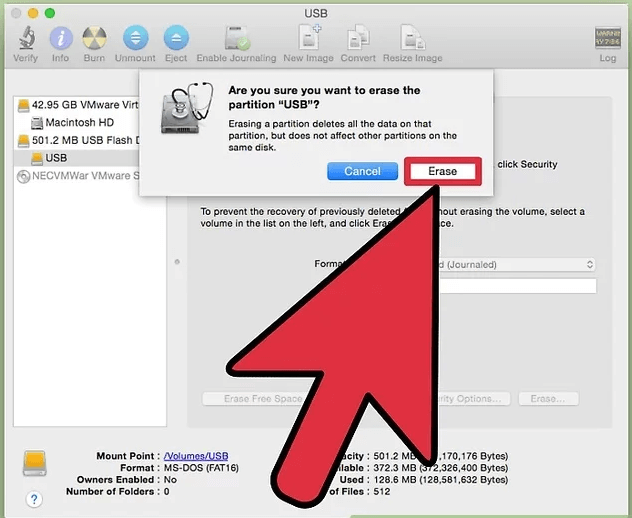 Scroll down and check the method to know that how to format a flash drive on Mac using EaseUS software. Get the EaseUS software from its website on your Mac. Now, connect your flash drive on your Mac and open this software. Then, click on the flash drive name under partition section. After that, right-click on it and then click Format. That’s it. Wait for some time, and it will format the flash drive on Mac. Using these methods you have now learned that how to format a flash drive on Mac. If you have bought a new MacBook, then it will be very tuff to how to format a flash drive on Mac. Though, at that moment this article will help you a lot. 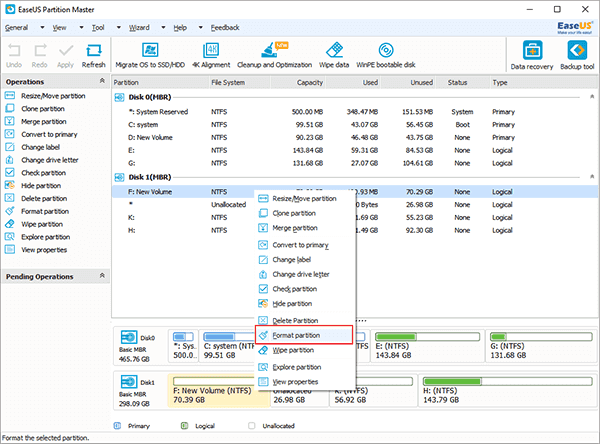 Several methods have been listed in this article to get to know that how to format a flash drive on Mac. I hope after reading this entire article you are now able to format a flash drive on Mac. Share this fascinating article with your friends and other peoples also to let them know that how to format a flash drive on Mac.